Make a tax-deductible monthly pledge! Drive ends April 17th! Thank you! 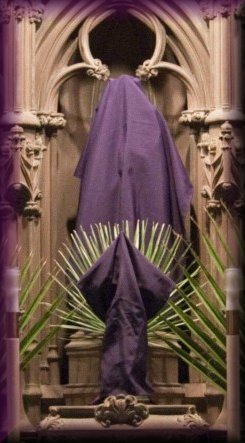 The two weeks before Easter are known as Passiontide. 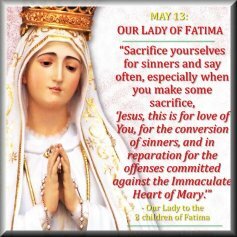 This coming Sunday is called Passion Sunday, because the Church begins, on this day, to make the sufferings of our Redeemer her chief thought. Everything around us urges us to mourn. The images of the saints, the very crucifix on our altar, are veiled from our sight. The Church is oppressed with grief. Let us renew our fervor and ask Our Lady of Sorrows to help us to be faithful to our resolutions and console Her and our dear Saviour. To-day, therefore, if you hear the voice of the Lord, harden not your hearts! I dare say, there are some people pictured here, that should very well be covered... but we probably shouldn't be presumptuous? We weren't expecting to publish a new edition until the Triduum, but the page became slow-loading. We also received one report that new additions of weeks were not showing up without having to clear the cache. Please! If you ever don't see something you are expecting to see, send us an email at editor@dailycatholic.org to let us know. Father Jacqmin just announced starting today, April 7, he will be live-streaming another High Mass on Sundays at 4AM EST. Send him and email to get the link sent to the "Click Meeting" before Mass. The majority of our readers do not have access to the true Sacraments for they do not have a Traditional Latin Mass near them nor do they have, sadly, access to a true Roman Catholic priest. 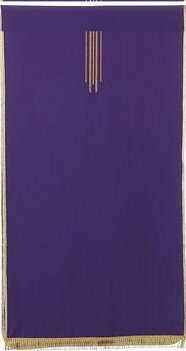 Therefore, we provide a web Daily Missal with the Ordinary of the Mass and each week we will be adding the Daily Propers of the Holy Sacrifice of the Mass with the full liturgy in both Latin and English for all of Lent plus the feast days for the saints honored over the next six weeks. 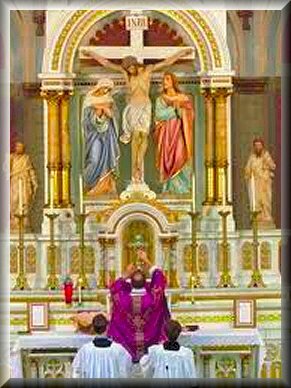 You'll also find an Excellent Explanation of the Traditional Latin Mass with videos illustrating the magnificence of this august sacrifice. 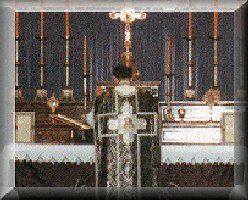 While we cannot provide the Sacraments, we can point you to one of the nearest trusted Traditional Catholic Chapels where we can assure you that you will have access to the true holy Sacrifice of the Mass. We also have several Live Masses (see on right), from which many benefits can be attained, despite not being able to receive the Eucharist. Be sure to read about assisting in absentia for instructions. 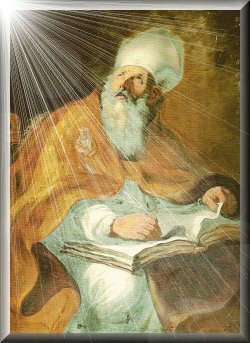 Of course, to be in the state of sanctifying grace, one must take advantage of the Sacrament of Penance and to prepare for a good confession, we provide for you a thorough Examination of Conscience in order to worthily be sorry for whatever sins you may have on your soul in confessing to a true Priest. We remind you that only a priest ordained in the pre-Vatican II Sacrament of Holy Orders has been given the power to absolve your sins. 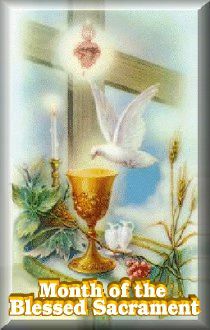 Those ordained in the new man-made rite of Paul 6 neither have the power to forgive sins in the new-fangled 'sacrament' of reconciliation, nor to confect the Sacrament of the Holy Eucharist at Mass. This is vital to realize for the welfare of your eternal salvation. 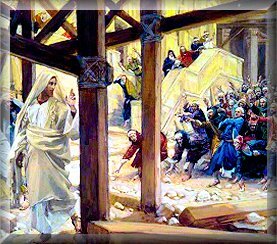 Yes, the True Church is in eclipse and returned, so to speak, to the catacombs where only a remnant Church remains, but it is the recognized Church from St. Peter through Pope Pius XII and the only one which Jesus promised "The gates of hell shall not prevail against it". 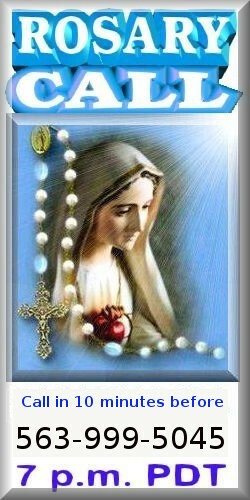 For greater discernment, we encourage you to go to Our Lady by praying the daily Rosary as often as your state in life permits. 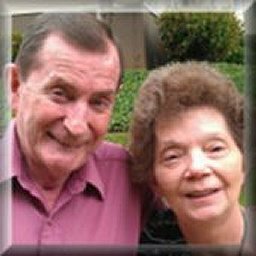 We provide all you need to assist you in praying the Holy Rosary in English, Latin and Spanish with meditations for all fifteen Mysteries provided by John Gregory, specifically the Sorrowful Mysteries during Lent. 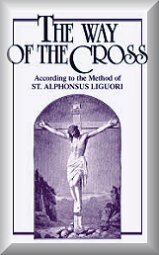 A staple during Lent is Stations of the Cross according to the method of that indomitable holy Doctor of the Church St. Alphonsus Liguori. 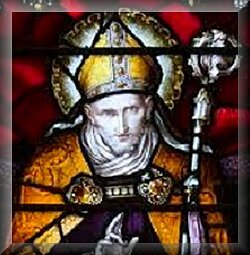 For each day we provide our readers with a reflection by the renowned Benedictine Abbot Dom Prosper Gueranger with excerpts from his masterful 15-volume "The Liturgical Year". In addition, we provide a sermon, courtesy of TraditionalCatholic Sermons.org, for each day, most by Father Benedict Hughes, CMRI with a few by Bishop Daniel Dolan, including a Day of Recollection by His Excellency as well as a series of Fifteen Reflections on Christ's Passion by Bishop Donald Sanborn for Holy Week and, finally, a series of outstanding talks given in 1973 by a priest who needs to be kept anonymous. Father X’s words are very powerful and every Catholic should listen to his talks. Father X’s words will assist and inspire you in your daily battles against the devil and his agents. For each Sunday in Lent we also provide the Haydock Commentaries for the Epistle and Gospel sent to us by John Gregory who also offers thorough meditation on each of the Five Sorrowful Mysteries that should exemplify your appreciation in saying the holy Rosary. 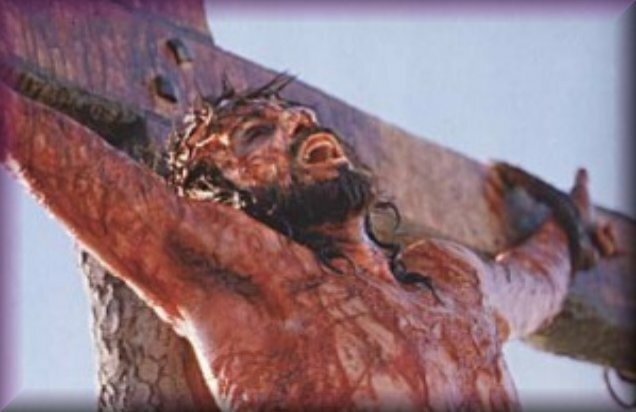 In addition, we will link the inspirational articles of Dr. Thomas A. Droleskey at Christ or chaos for feasts that fall during Lent including his benchmark work From Eden to the Empty Tomb during Holy Week as well as the editor's equation on how and why the Mystical Body of Christ, His holy Church, is unrecognizable just as He was during His Passion and Death in a series from last year encompassing The Passion of the Sorrowful Mysteries for the Church. 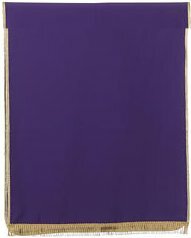 If you cannot attend the valid and perpetual Holy Sacrifice of the Mass which we list at Traditional Latin Masses on our Devotion port, then we pray and hope all of the above will enable you to make this Lent the best you can. You will also be inspired by the lives of the holy Doctors of the Church featured during Lent.. May you have a blessed and grace-filled Lent. Ecce lignum crucis. In quo Salus mundi pependit. My God, I believe, I adore, I trust and I love Thee; and I beg pardon for those who do not believe, do not adore, do not trust, and do not love Thee.